Naturally caffeine free. 4 calories per cup. Sugar free.All natural ingredients* *All our herbs are gently steamed, the process is gentle to protect their delicate taste. Look up to the sky and see the luminous colours of fireworks night. See the vivid colours sparkle as they brighten up your day. What does it taste like? 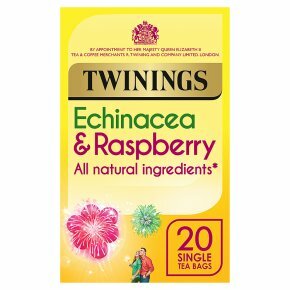 Rich, earthy Echinacea root is paired with the flavour of juicy, plump raspberries in this deliciously tangy infusion.